Can your Troop Boost Advancement at Camp? What are some ways that your troop can truly excel in advancement at summer camp? If you do increase your emphasis on advancement with scouts, does it make more work for the adults? Maybe not. As we discussed earlier this week, it pays for the adult leaders to be familiar with the Guide to Advancement (2015) that is now available online as a webpage and as an e-book in PDF form. This entry was posted in Advancement, Boy Scout. This is a follow up to my earlier blog. Our meeting on June 11th will be no more than a two hour commitment. I sure hope you can attend. You will have an opportunity to meet our new District Executive Con Sullivan. He is going to be a great addition to our Key Three Con is energetic and ready to work with us. Please come and welcome him to North Star. This entry was posted in District Committee and tagged North Star. I look forward to planning with you on June 11th at St Luke’s UMC. This will be an opportunity for us to begin to gel as a team. 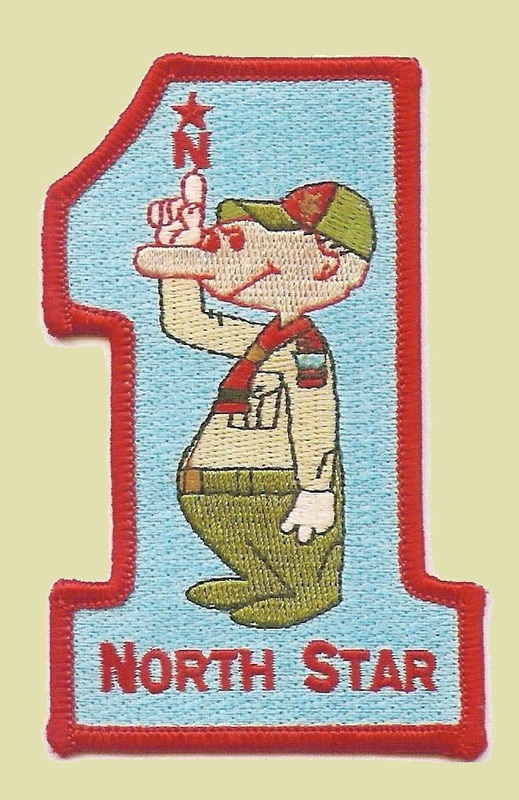 North Star will once again rise to it’s #1 status in this council. What a great bunch of volunteers! GO NORTH STAR! This entry was posted in Adult Education, District Committee and tagged North Star. All members of North Star District Committee should attend Committee Planning Meeting. To that goal, Vice President of District Operations Stroh Bronn and Director of Field Services Rob Hemmelgarn will be leading this session on the evening of June 11th. The session will be held at St. Luke’s United Methodist Church, Room N101 (the same room as the May District Committee Meeting). The class will begin at 7:00 p.m. This entry was posted in Adult Education, Commissioner Service, District Committee, Nominating Committee. As summer camp draws near, we in scouting are entering the height of “Advancement Season.” More work toward advancement will occur in the next 75 days than at almost any other time of the year. Some of this is due to participating in merit badge sessions for boy scouts and day camp activities for Cub Scouts. For many years, most scouters relied on learning the rules of advancement by watching and experiencing our home unit manage advancement. We would learn to improve on these techniques by attending classes or through casual conversations with other scouters. Few of us had ever seen the Guide to Advancement. As with most BSA publications up to 2013, if you wanted to read it, you had to pay for it. The Guide to Advancement was always a recommended book to have on a unit’s shelf, but few units purchased a copy or updated it regularly. What is the Fundamental Unit of Scouting? As adults, we are involved in our units: packs, troops, and crews. We rarely stop to consider who is the most important part of the unit. As we talk to Council representatives, they talk about our units as packs, troops, and crews. This is for a good reason. Their job is to support the adults at those levels. Council’s (and, therefore, district’s) focus is on creating and maintaining a place for boys to do scouting. This focus from council on units can easily confuse the adult leaders that those units are the primary units of scouting. If council focuses at that level it must be the most important, right? Wrong. The most important is the den or patrol. Our focus is the boy and his enjoyment and growth. The den or patrol (which I simplify to patrol for reasons that will become more clear shortly) is where the boy experiences scouting. He wants to do scouting with his friends. He is more likely to continue scouting if his friends are physically nearby. The patrol is where this proximity can and should occur. Clarke Green shares some very interesting literature from Canadian scouting about why and how this works. It is worth a read. What should we learn from this? Do these lessons apply to Boy Scouts only or do they apply to dens and crews? The stronger the identity and cohesiveness of the patrols, the stronger the pack, troop, or crew. The boys doing what they love as a patrol will never fail to seek more of the fun. They want to spend time with their friends their own age. If they get this, they will want to share the joy with younger scouts. It starts a healthy cycle of do, model, teach, and do again. This entry was posted in Boy Scout, Cub Scouts, Patrol System, Retention. In 1971, our current program started with the Tigers phased in the 1980’s. Now BSA is pilot testing a reintroduction of the Lion rank. Instead of the highest rank, Lion would be a new rank for kindergarteners, similar to the Girl Scouts’ Daisies. Minnesota’s Northern Star Council was first. It has now expanded to the Garden State Council and Western Massachusetts Council. 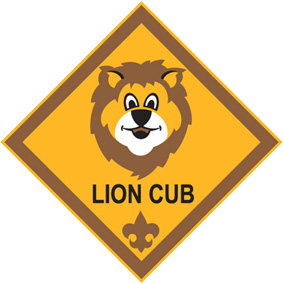 This entry was posted in Adult Education, Cub Scouts, Membership and tagged lion cubs. We spend a long time and effort worrying about the boys transitioning from Cub Scouts to Boy Scouts. Frankly that’s not the biggest problem. The people who have the hardest time transitioning are the former cub leader-parents. Boy Scouts is often a culture shock. Considering that a former cubmaster may be very accustomed to watching the boys progress from year-to-year in there nice, tidy, little den. Rarely is there a difference in age greater than 14 months. The den leader is an adult, who maintains order much like a teacher in a classroom does. And then the transition the Boy Scouts. This entry was posted in Boy Scout, Cub Scouts, Membership, Patrol System. BREAKING NEWS: We have a district executive! This afternoon, Friday, May 22nd, Council Director of Field Services Rob Hemmelgarn announced the appointment of Cornellius “Con” Sullivan as the new North Star District Executive. Con will begin work with the Council and District immediately after Memorial Day. Con met with District Chair Steve James and District Commissioner Jeff Heck this morning. Both gave Con glowing recommendations. Con is an Eagle Scout from Pathfinder’s Troop 107. He served for four years as one of their youth leaders, including at least one term as SPL. He is a graduate of Ball State and has a master’s degree in public administration. He was the president of his college fraternity and instrumental as chapter president in helping the colony obtain its permanent charter with BSU. He has served as a political campaign chairman for a congressional candidate. Con has done a lot in his few years on this earth. Please let him know how excited we are to have him!